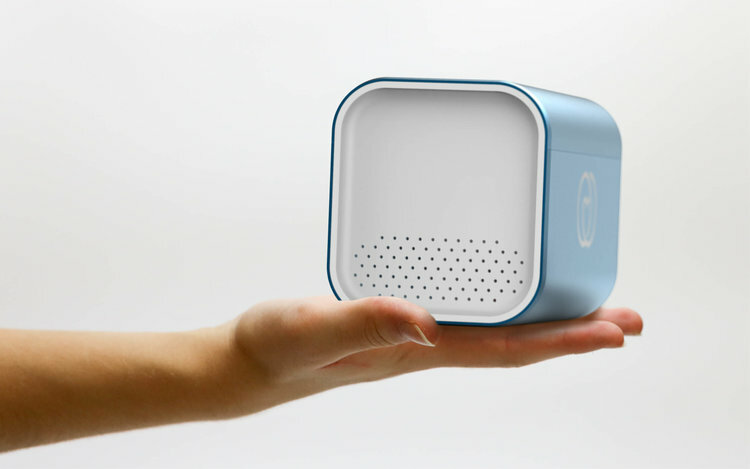 Lifeina Box is the world's smallest refrigerator, and is changing the way individuals transport temperature sensitive medication like insulin, growth hormone, and more . Clever Tech Digest sat down with Uwe Diegel, creator of Lifeina, to discuss developing technologies that will allow people to push past living beyond what is humanly possible, and into a new resilient synthetic reality. Uwe Diegel is a specialist in various forms of medical diagnostics such as blood pressure, temperature, asthma and diabetes. Uwe currently lives in Paris, France, where he runs HealthWorks Global. Bravo Media's diverse exploration of interactive experiences keeps them on the cutting edge of multi-media production. Their capabilities include 2D and 3D motion graphics, projection mapping, interactive displays, custom social media content, animated explainers, large-format LED displays, video walls and virtual reality experiences on the Oculus Rift and other emerging VR platforms. 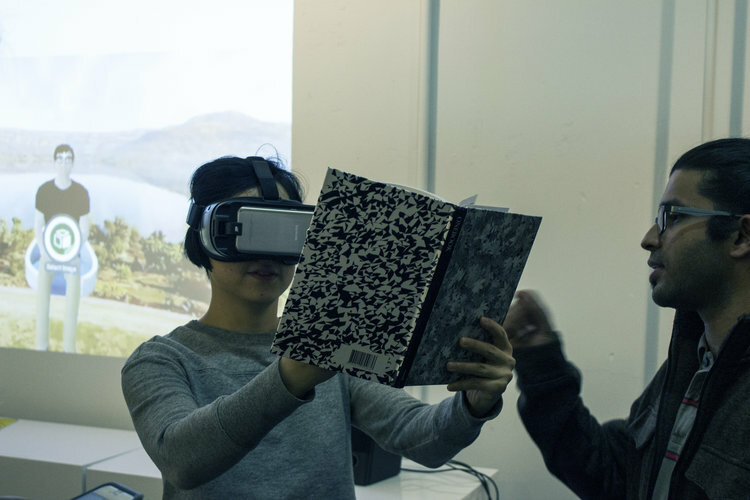 Virtual Reality (VR) makes for fantastic immersive gaming, but also possesses the potential to disrupt the way we learn, socialize, and explore. With the help of Google Cardboard headsets and smart phones, a teacher can transport a classroom full of students to the inside of plant cell and view photosynthesis up close. Electronic waste overflows in landfills all over the world, and many of the materials associated with this type of waste will take centuries to break down, if ever. Some components of computers are even toxic. Recycling has made an impact on global waste management, but society must think more resourcefully about items that cannot decompose and cannot be recycled. 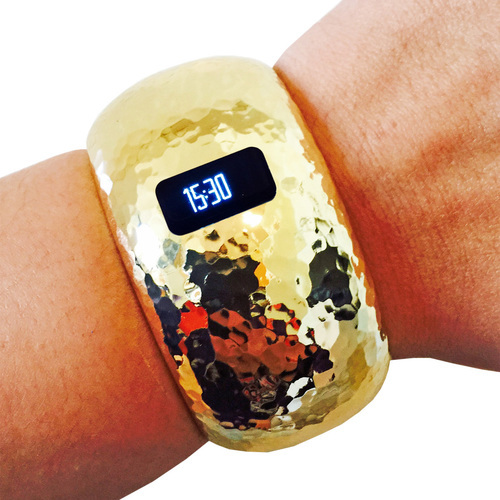 Upcycling and repurposing of electronic hardware represent an opportunity for both creative and industrial projects. A great example of cleverly upcycling e-waste is the small, hip, record-cutting company Mobile Vinyl Recorders. 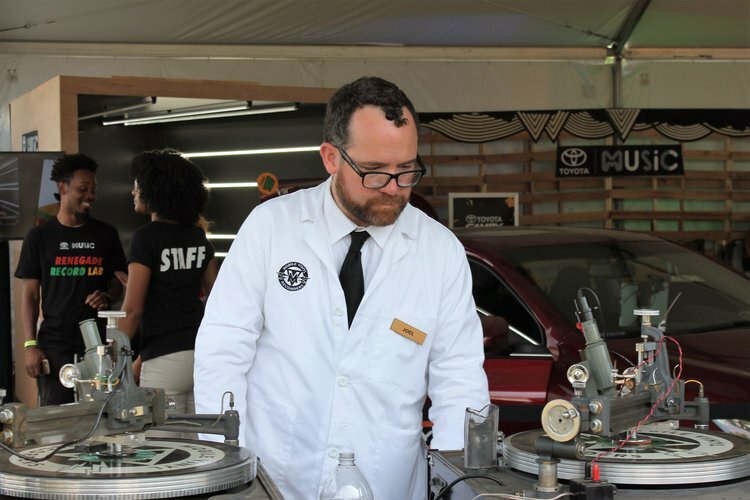 MVR was lathe-cutting upcycled CDs with new tracks, live this year inside the Toyota Tent at AfroPunk Brooklyn 2016. This differs from burning CDs with tracks both in the physical process and in the outcome. These CDs can be played on a record player. Hipsters and tech enthusiasts alike watched as Mike Dixon of Mobile Vinyl Recorders gave new life to old objects, driven by a passion for music and a medium. Some of Mike Dixon’s other projects involve cutting records on materials like chocolate. Click here to read the article Embrace Hearing Published about Hearcuffs by Ray Fontaine! I aspired to reframe the image of hearing aids from a medical tool to a fashion statement. To achieve this I designed a line of interchangeable decorative ear cuff accessories, 3D modeled for a perfect fit snap on attachment for Embrace Hearing hearing aids. Hearing impaired adults need the ability to personalize and decorate their hearing aids . In the same way that cell phone cases are both decorative and protective, my hearing aid accessories can do more than look beautiful, they can also provide protection and support to the device, keeping the hearing aid securely in place. Users can snap their hearing aid into the ear cuff, concealing the medical device and showing off their style. To wear a different style later, they can pop the hearing aid out, and snap it into a new accessory. Using materials like silver, brass, bronze, gold, and gemstones bring attention to the accessories beauty, not their function.